Darnet Design has revealed the first interior renderings of the 63.8m VSY 003 superyacht, currently under construction at the Viareggio SuperYacht facilities in Italy. 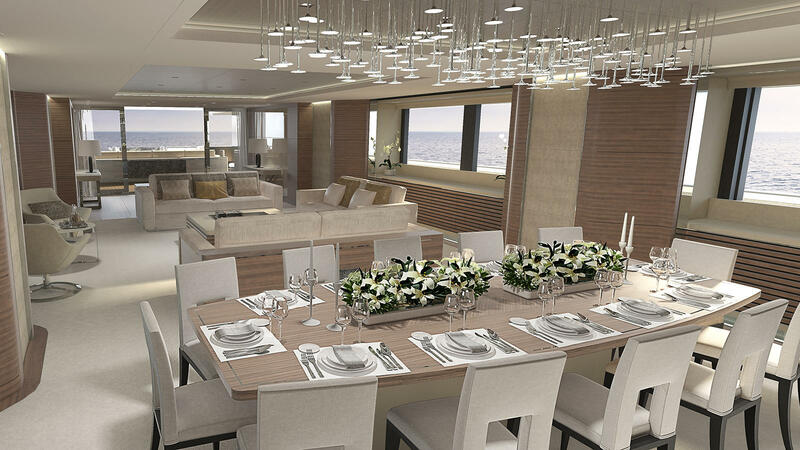 Darnet Design has revealed interior renderings for the in-build VSY 003 superyacht. Enlisted to design her almost 500sqm of interior space back in December 2016, Darnet Design describes the 003’s interiors as “elegant” and “timeless”, with Franck Darnet working closely with the owner to encapsulate his lifestyle within the interior design. 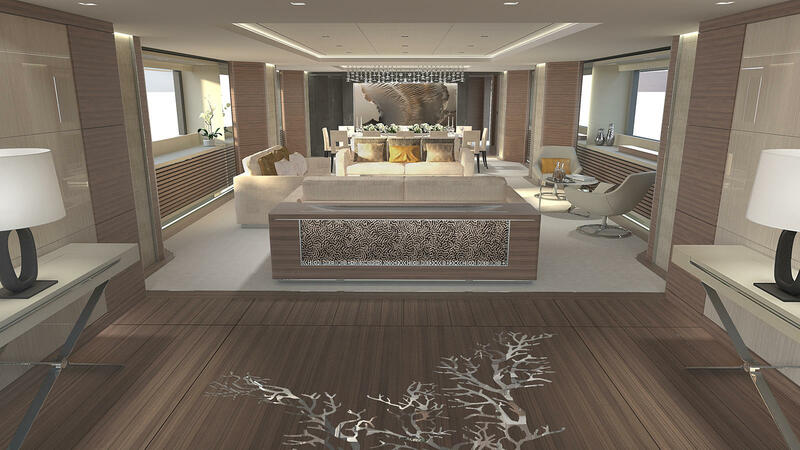 Inspiration was taken from the owner’s current superyacht, to include airy spaces and warm colours. There will also be a central marine theme running throughout featuring raised decorative panels with metal coral reefs inserts as her key design motif, translating the owner’s passion for scuba diving. She also has a diving centre on board. The interior decor includes airy spaces and warm colours. Her outdoor decks and sundeck are dedicated to wellbeing and relaxation, with spacious lounges and comfortable seating and sunbathing areas. 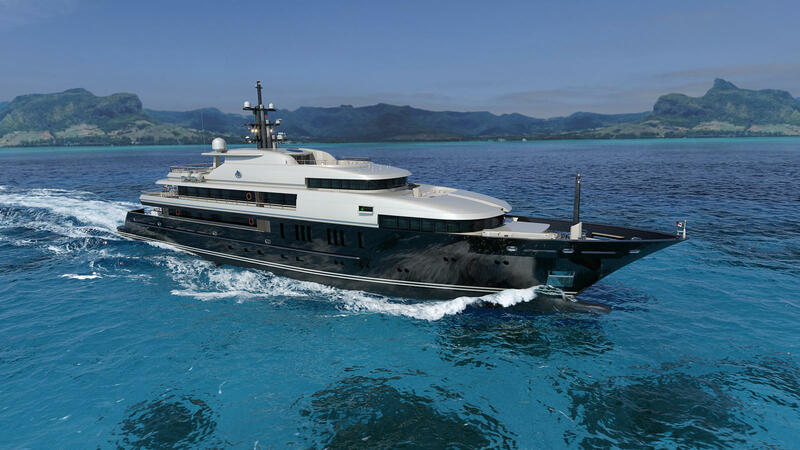 She features exterior design by Espen Oeino International and naval architecture by Laurent Giles. 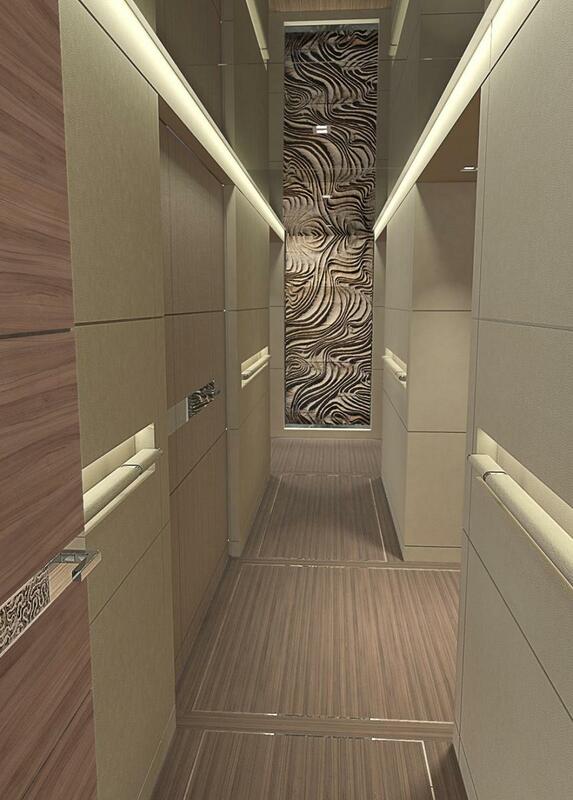 Her interior will include decorative panels and woodwork with metal coral reef inserts. The VSY 003 is actually the fourth superyacht from VSY and the sistership to Sealyon and Roma. She is expected for delivery at the end of 2018.